Steam trains operating across picturesque northern routes have been suspended over fears they are a "threat to the safe operation of the railway". Network Rail has halted West Coast Railways (WCR) services after the "most serious" case of a train failing to stop at a signal so far this year. The suspension notice means it cannot run chartered services until 15th May. Network Rail said the decision had not been taken lightly. No-one from WCR could be reached for comment. According to Rail magazine, it is an "unprecedented suspension" as, since privatisation, operators have been barred from certain routes but never hit with a total network ban. A Network Rail spokesman said services were suspended from 00:00 on 3 April and would only resume if seven action points are addressed. The spokesman said: "We have set out a number of actions to address the safety concerns raised and will continue to work with WCR to ensure their services can run safely in future." Introducing an "effective, risk-based driver monitoring regime"
Network Rail is concerned over a recent Spad (signal passed at danger) incident and the company's response to the problem. Network Rail's suspension notice said it "ranked as the most serious Spad that has taken place this year when the industry risk ranking methodology was applied". It said it happened near junction SN45 at Wootton Basset in Wiltshire on 7th March when a WCR service between Bristol and Southend overshot a busy junction. Network Rail said the response from West Coast Railways was "inadequate", in a meeting held on Tuesday. 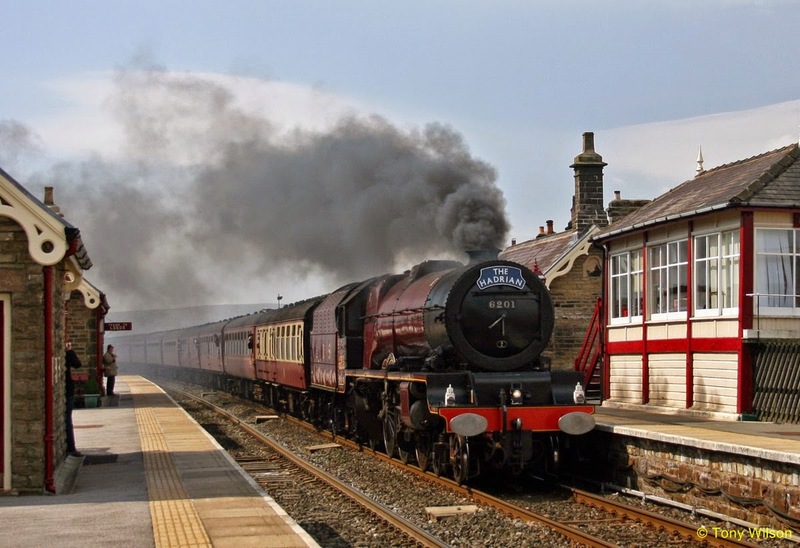 The Carnforth-based company operates charter trips on the picturesque Settle to Carlisle line, which runs through the Yorkshire Dales, as well as, among others, a route taking in Fort William in the Highlands. WCR owns the Hogwarts Express engine featured in the Harry Potter films that last month went on display at Warner Bros Studio Tour in Leavesden, Hertfordshire.